There are a lot of directions we can take with this passage (keeping in mind that the lectionary creators omitted verses 9-13 and 16-20, primarily because they tend to distract from the central points being made). 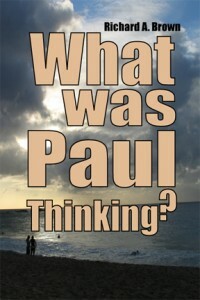 We could take a familiar path and make the scribes and Pharisees the bad guys once more. That might be fun (although mildly disconcerting for a “religious scribe” such as myself) but alas, let’s not go there. We could be even more extreme and make those scribes and Pharisees stand-ins for Jews in general; that would be even more unfortunate and wrong, as would the next logical step comparing Jesus’ supposed “gospel” with Hebrew “law.” Let’s definitely not go there. One wonders if this passage was the source for cartoonist Walt Kelly’s most famous quotation from his character Pogo. Most people have probably no personal memory or familiarity with this cartoon strip about a possum named Pogo and an alligator named Albert, which was set in the Okefenokee Swamp of the southeastern United States. The strip officially ended in 1975 (although it was briefly resurrected in the mid-80s for a short while), so that’s understandable. 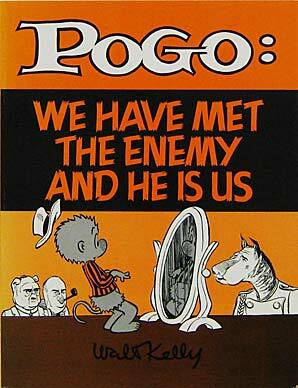 But writers of all genres, including of course blogs, continue to use Pogo’s famous statement about meeting the enemy. 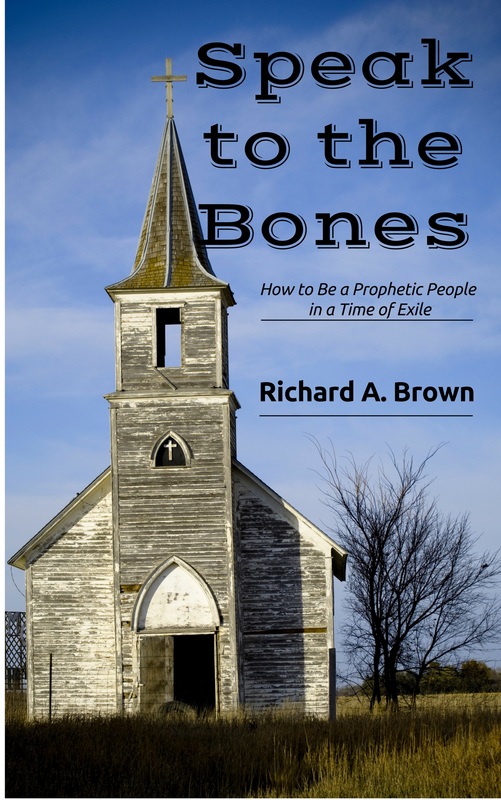 There’s always the path of least resistance for a good many Christians, especially those within the evangelical branch of the church. Yet blaming the devil for all the bad stuff that happens is not only too easy, it’s misguided and naive. I used one artist’s depiction of the devil in last week’s blog posting, but fortunately there’s plenty of others from which I could choose to illustrate this blog. Come to think of it, however, all those people who don’t know about Pogo probably aren’t familiar with the late comedian Flip Wilson’s character Geraldine, either. Those of us of a certain age can hear in our mind’s memories the exact inflection of Geraldine’s “The devil made me do it, honey!” Well, enough of these trips down memory lane. If we want to be better people, the kind of human beings that God desires for us to be–in our thoughts, words, and actions–it begins inside us, within the human heart, the symbolic residence of our true, rational, thinking and feeling selves. And from there it moves outward to change us and the world. This entry was posted in Christian theology, forgiveness, healing, integrity and tagged Gospel of Mark, mercy, spirituality. Bookmark the permalink.